CBS Films, is a film studio company that handles many areas of development, including film production, distribution, financing and marketing. It is owned by CBS Corp. and was founded by Les Moonves in 2007. Since its creation, CBS Films has released ten films, including “The Woman in Black,” “The Back-Up Plan,” and “The Mechanic” . Terry Press was named Co-President of CBS Films in April 2012. As Co-President, she oversees creative aspects of the company including initial development, marketing, production and distribution. Before joining the company, Press worked at 7570 Marketing Inc. where she worked as a marketing consultant on many CBS Films . She also had success working as a consultant on both “The Social Network” and “The Hunger Games” . Wolfgang Hammer was also named Co-President of CBS Films in April 2012, in conjunction with Terry Press. As Co-President, Hammer uses his “savy” negotiating skills in acquisitions and also oversees the company’s business, finance and legal affairs . Before working at CBS Films, Hammer was Executive Vice President at Lionsgate . CBS Corp. reported record numbers for the fourth quarter of 2012. Since the fourth quarter of 2011, revenue rose 2% ($3.7 billion), operating income rose 12% ($726 million) and adjusted EPS rose 14% ($0.64). Les Moonves, CEO of CBS Corp., has even higher expectations for next year . Both of CBS Films’ most recent films, “Seven Psychopaths” (October 2012) and “The Last Exorcism Part II” (March 2013), earned back their respective production budgets. “The Last Exorcism Part II” actually brought in over three times its original production budget ($15 million made versus $5 million budget) . CBS Films released its horror-film, “The Last Exorcism Part II,” on March 1st, 2013. It took in over $7.7 million on its first weekend (2,700 theaters) and grossed over $15 million in its remaining five weeks . Despite earning back its production budget, the film was poorly received, having just a 13% critic rating and 35% audience rating on Rotten Tomatoes . “Salmon Fishing in the Yemen” was nominated for three Golden Globes, including best musical or comedy, best actor in a musical or comedy and best actress in a musical or comedy . However, the film lost in all three categories . On January 9th, 2013, it was announced that Colin Farrell was nominated in the Irish Film & Television Academy Awards for his role in CBS FIlms’ “Seven Psychopaths” . He has since lost to Jack Reynor . On January 22nd, 2013, CBS Films acquired the domestic rights to the coming-of-age comedy “Toy’s House.” The movie premiered at Sundance, where it received great reviews, prompting CBS Films’ move to make a deal. It has since been retitled as “The Kings of Summer,” and is slated for a May 31st release date. The film is directed by Jordan Vogt-Robert, written by Chris Galleta, and stars Nick Robinson, Gabriel Bosso, Moises Arias and Nick Offerman. “The Kings of Summer” focuses on a group of friends who attempt to move into the woods and live off the land, and is being compared to “Stand By Me,” “Superbad,” and “The Goonies” . On February 6th, 2013, CBS Films set a new release date for their new buddy-comedy, “Last Vegas.” The film was originally slated for December 20th, an attempt to play into the Christmas movie market, but has since changed to November 1st. It is directed by Jon Turteltaub, written by Dan Fogelman, and produced by Laurence Mark and former CEO and president of CBS Films, Amy Baer . The film was produced by CBS Films and had been in talks since before September, 2011 .”Last Vegas” stars Morgan Freeman, Robert DeNiro, Kevin Kline and Michael Douglas, and focuses on a group of old friends who throw a bachelor part in Las Vegas . There is no trailer available for this film yet. “The To Do List,” starring Aubrey Plaza, is set to be released on August 16th, 2013. It had previously been set for February 2013 . 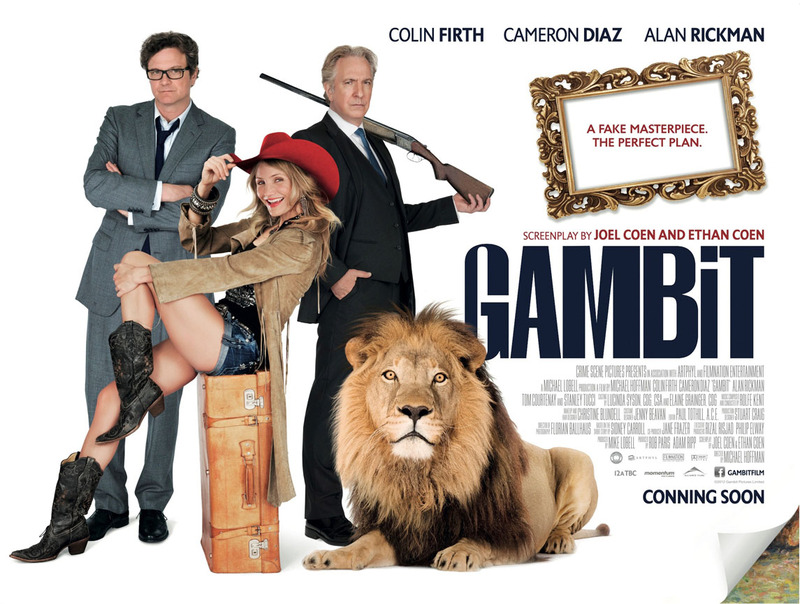 “Gambit,” a Coen Brothers comedy starring Colin Firth, will be released sometime in late 2013 . The film has already been released in Ireland . The horror-thriller “7500” is set to be released sometime in 2013. It was originally slated for release in August 2012 . On February 19th, it was announced that CBS Films had acquired the domestic rights to distribute the new Coen Brothers film, “Inside Llewyn Davis” for around $4 million. Studio Canal financed the movie itself and is holding onto some foreign distribution rights. The film centers around the Greenwich Village music scene in the 1960s and stars Oscar Isaac, Carey Mulligan, John Goodman and Justin Timberlake, among others. There has been no release date set for CBS Films’ newest acquisition . On January 24th, CBS Films announced it will be developing “Olivia Twisted,” a debut screenplay from stuntman Brian Roberts. “Twisted” is a fictional adaptation on the classic novel, “Oliver Twist,” and revolves Olivia, a member of a metropolitan teenage gang at war with a rival gang. Michael De Luca and Alyssa Phillips are set to produce the film .